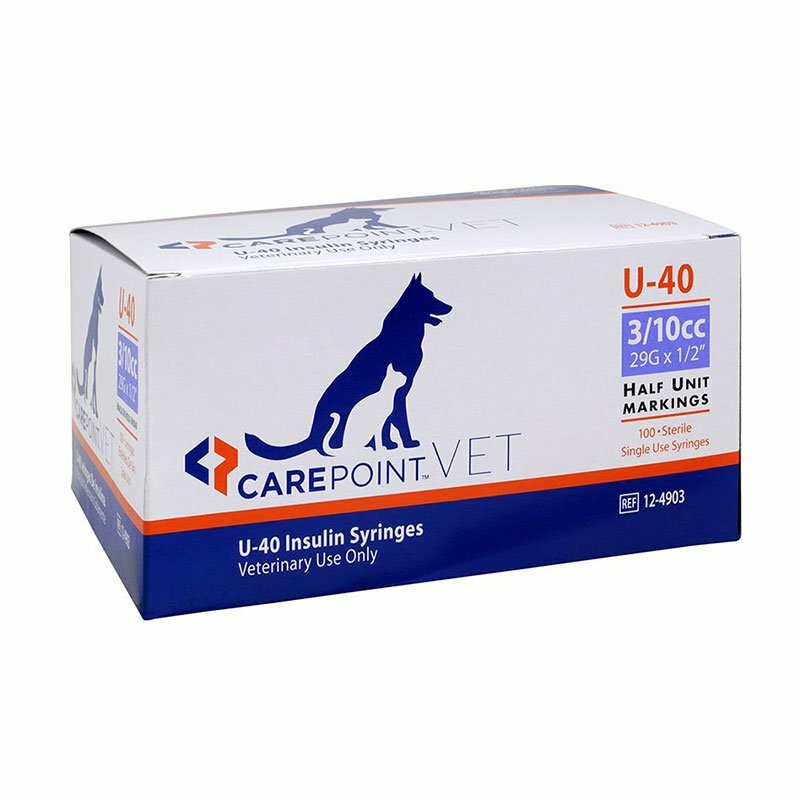 The CarePoint Vet U-40 Insulin Syringes 29G 3/10cc 1/2" With Half Unit Markings Case of 500, model #12-4903, has been specifically designed to assist you with your pet's diabetes care plan. CarePoint Vet insulin syringes are available in both U-40 and U-100 capacities with a wide selection of needle lengths and gauges available to choose from. These syringes are being offered in both single and discounted case quantities for your convenience. The CarePoint Vet U-40 Pet Syringes 29G 3/10cc 1/2" with Half Unit Markings Case of 500 provides large, bold, easy-to-read permanent markings for accurate dosage and lubricated needles for injection comfort. For use with U-40 Insulin ONLY.